The latest update to Corel's flagship programme includes some exciting new digital effects. Thanks to a series of background and interface tweaks, not to mention new and updated tools, Painter 2018 successfully brings traditional and digital art together. This new release of Painter has many new features that will make the digital artist quiver in anticipation. Let’s start with the Thick Paint option. This set of painting tools goes beyond the Impasto painting tools that were present in earlier versions of Painter. They accurately mimic the look and feel of traditional oil and acrylic paint. You can pile on the paint, push it around, carve into the paint, scrape the paint, and realistically blend the colours and strokes. The default brushes have been inspired by their traditional equivalents and Corel says that the brush variants have been created by artists familiar with traditional media. One wonders how they were designed in previous versions. 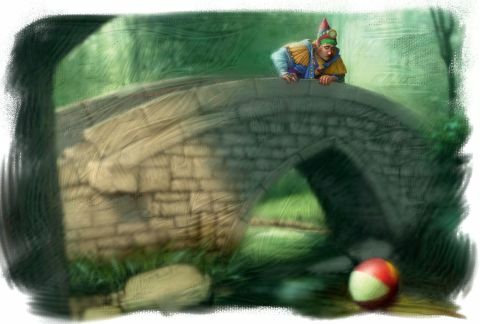 Still, the brushes are flexible, with new options for blending underlying brushstrokes and variable opacity. Thick Paint can be enhanced by changing the direction, intensity, colour and number of light sources that interact with the canvas. Elsewhere, you can now paint using Texture Cover, Source Blending or the new 2.5D Texture Brushes. Texture Source Blending builds depth using textures. Texture Cover uses the colours found in the active texture, or you can choose any colour to be used while painting. Interestingly, the new 2.5D Texture brushes build subtle and dimensional textured surfaces using the active texture. With these brushes you can change, scale and transform the texture at any time while painting. Another new feature, Texture Synthesis, enables you to pick an area of a document or texture and reproduce it at a larger scale. When synthesising a new texture, the selected area of the original texture is randomised across the new document, creating something unique. You’re not limited to using textures: the brushstrokes in a document enable you to create a new texture. The resulting image can be used as any other texture or as a layer in your painting. There are a number of smaller, but welcome new features, too. The Enhanced Drip and Liquid brushes work on an empty layer to blend a colour with an oil paint-like transparency or paint using the colours from underlying layers. Random Grain Rotation will rotate the active paper texture with each brush stroke, giving a natural look. There’s also a redesigned Natural Brush library, and you can create your own selection brushes using any dab-based brush variant. Finally, new cloning capabilities give you the ability to adjust the size and shape of clone sources as you paint. There have also been a number of background and interface tweaks, making the program easier to use. Overall, Corel’s done well in updating Painter so that, more than ever, it brings the worlds of traditional and digital art closer together. This article was originally published in ImagineFX 151. Buy it now.